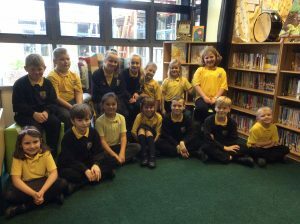 We put ourselves forward to become a member of the school council at the beginning of the year. We started an election campaign which lasted a whole week. Our classmates then had to vote for us using a secret ballot box. This is called a democracy. It was hard work but a lot of fun! Each class voted for a girl and a boy from their class to represent them on the school council. We are all looking forward to working with our friends and teachers to help us make important decisions for our school. 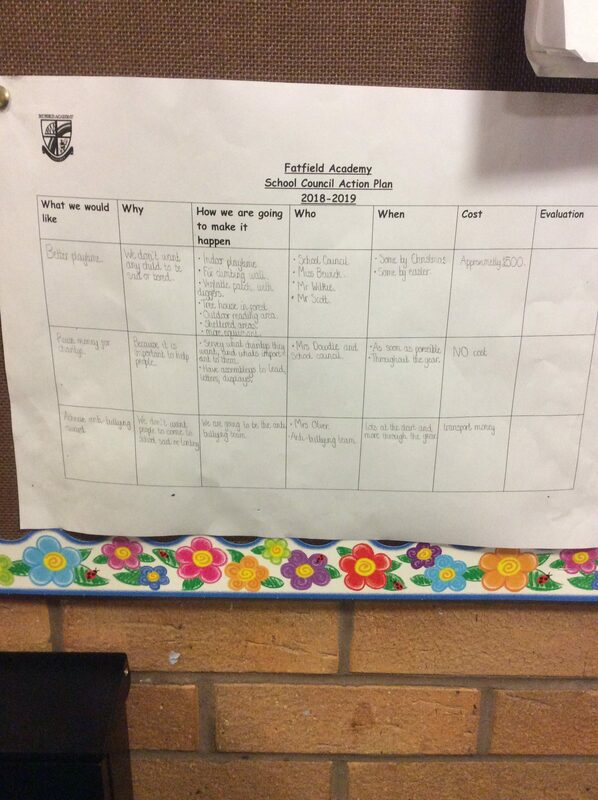 In class assembly each year group were asked by their school council members what they would like changed in school. On the Friday, school council took the ideas into a meeting and the selected the best. The ones we chose were recorded on a spider diagram. The ideas were thought about some more and the three most productive were picked to go onto the action plan.